Jill DeWit: Welcome to episode 13. Today, I am here to explain Land Academy Deal Funding. 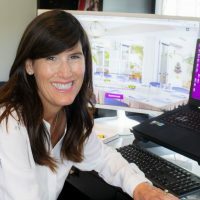 This show began as a way for me to share tips on how to begin flipping the easiest type of property land because we all know there’s money to be made in real estate and most people are doing it wrong. Whether you’re getting started in real estate, investment, or anything else, the getting started part is often the hardest. 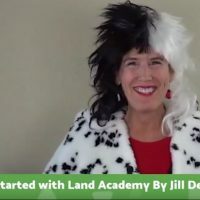 I am Jill DeWit, co-founder of Land Academy, and together with my partner, Steven Jack Butala, we have completed close to 16,000 real estate transactions of all property types. Every Wednesday at 2 o’clock Pacific Time, I’m here to help you get started flipping land, or maybe tackle something else in your life that’s just not getting done. Today, I am pleased to be coming to you live via both Facebook and YouTube. It’s a big, big day for us. It took us weeks to get here, and I’m so excited. You, YouTube viewers, I want to just reiterate. I said a few minutes ago before turned on the camera for everyone, I have a special announcement coming at the end today where I am going to announce how YouTube viewers can also win a free Land Academy Program via a drawing that will happen in two weeks. Today, at the end, I’ll explain the details, and you’ll have two weeks to enter into the drawing because we are not leaving you out. Today’s topic is Land Academy Deal Funding Explained. Last week, I talked about the flood of deals that started pouring in to us, for funding by us, as a result of opening up Land Academy Deal Funding to the public earlier this month. Because of the number and the quality of those deals, I ended up changing my job description so I can personally handle and take on that venture. So that’s my number one thing that I’m doing right now. What is Land Academy Deal Funding? Why is this a big deal? It is us. When I say us, I mean us, Steven and I, our funds are funding your deals. Okay, now why are we funding your deals? So you now officially have nothing to hold you back from acquiring great property. As Land Academy, we started by teaching you how to first create your own real estate investment company. Then, second, we added to that by supplying incredible support with our calls, and our online community, and our consulting. Third, we took it a step further now by either creating professional level tools or becoming licensed providers of the pro tools that are needed so you could do this right. Now, the final phase, step four, is we’re now supplying deal funding so you can ramp up fast and there’s nothing to hold you back. 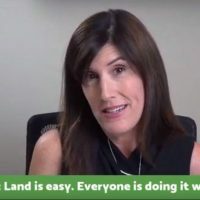 Here’s how Land Academy Deal Funding works: number one, you send offers to property owners that you’ve identified as good candidate areas and these sellers of the properties all make your buying criteria. 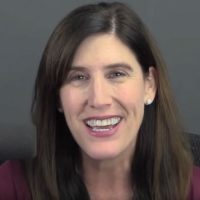 So there’s no change to what you’re already doing now, but I want you to consider this, now you have the funds behind you when you’re ready to ramp it up and add a zero to your numbers and maybe go after bigger deals. That’s not changed. The second step to the deal funding is, once you’ve got a signed purchase agreement, or PA we call it, and the property has passed all your tests, like you would fund it, basically, if you had the cash, then you would contact us via our deal funding form. That’s found on LandAcademy.com on the menu, or at LandInvestors.com at the top, there’s a ‘Deal Funding’ item at the top. Step three is, we get your submission, and we respond within 24 to 48 hours advising the deal acceptance. This step, I want to really hit this home right here, this is the best part. We’re not going to let you fail. You’re going to get our 20+ years of buying experience on these deal approvals. Now you get a second pair of eyes, basically, looking at your deals, but you get our eyes. When I say our eyes, I mean Steven’s eyes. No one knows this stuff better. Then, step four, you open escrow. Step five, we pay all the costs. Step six, you market the property, and you manage the sale on the end side via escrow. When it’s all said and done, then we split the profits 50/50. Now I want to give you a couple examples too on a couple deals right now. I have three I’m going to share with you. Two that I approved, and one that we rejected. I’m just going to kind of just talk about them right now. In another show, I’ll go into more detail and show you images. We’re actually creating a site on the deal funding form. We’re going to create some special pages where we will have screenshots of properties that we’ve accepted kind of when they’re done, and properties that we didn’t accept and why. So you really can know what we’re looking for and make real educated submissions because we want to approve these deal from everyone and just get them funded and move on. Here’s an example: example one, I talked about a little bit last week, so if you haven’t seen last week’s, go check out the spreadsheet where I shared with you the deals that I already had in. Right now, it’s kind of double that. I’ll bring that back again another time and go over those numbers. But, just to give you an example here, there’s a deal that I’m working on right now, it’s in escrow today. It’s in Licking County, Ohio. None of the terms changed, I mentioned it last week, for $50,000. The one thing that did change from last week is last week we were thinking $300,000, $350,000, we actually upped the target sales price to about $500,000 because we really have strong supporting comps in the area that show that this thing’s worth over probably $700,000. We wanted to move fast because that’s how we roll. We’re expecting, on this deal that we approved … It’s already in the works. It’s already happened, basically. At the end, this is going to be $450,000 that we’re splitting. Between us and our member, we’re each going to walk away with about turned $25,000. Example two, this one is in Cass County, Texas. Again, these are all already in escrow, 20 acres for $15,600. We expect to sell this one in less than four weeks with a target sale price of $39,500. Comps in the area are about $50,000 and there are very few available. I pulled this up myself today. I was looking on LandWatch and all over the Internet to see where I could find any similar comps, and I wasn’t finding a lot. That’s what I was finding, the lowest was around $50,000, so it was great. I know we’re going to move that one really fast. Again, at the end, profit’s going to be about $23,900, so we’re going to share that, so about $11,950 each at closing. Not bad. Now example three I want to share with you is one that we didn’t fund, and I want to tell you why. It’s interesting because we looked at it first. It’s Skagit County, Washington, which I love. I love that area. I love the property there, and it’s a great parcel. Everything looked great coming in through us too. We were going through the process. We had a signed purchase agreement for $20,000, and the comps were around $50,000, so this looked like a fantastic deal. What happened was, we got a little further in the process, and we uncovered a flooding issue that made the property unbuildable because it’s potentially under water half of the year. We’ve uncovered that, shared that with our member, and saved us all a lot of time and a lot of money. That’s part of the experience that you’re getting from us in this deal funding. Again, that’s Land Academy Deal Funding. Again, the submission form, you can find it on LandAcademy.com and LandInvestors.com. This is now a permanent option for Land Academy members. I’m going to say this is currently, because I don’t know how long we can handle it right now, but currently we’re accepting submissions from non-Land Academy members. Feel free to submit your offer, and we’ll see if we can make it happen with ya. Everyone wins here, not just us. Again, the whole point to doing this is now there’s nothing keeping you from getting started in this business. I’m going to go ahead, open it up to Q&A. I see some questions are already entered on Facebook and getting answered. For my YouTube viewers, please ask your questions, they’re copied right into where I can see them and shared in Facebook for me to answer for you right now. Let me see here, I got a, “Hi, guys.” I see some I’m going to skip, there’s a few questions for that. I can see Steven’s already asking about some tax questions, so I’m going to let that go with Steven. The real deep questions here, I save them for our members, and I do them on the member call. If you’re a member, and it’s a little bit deeper, Steven is going to weigh in or he might even ask you to put on the member call. For the lighter ones that everybody here can really benefit the most from, I’m going to do them. On the low end, there is. Right now, under $10,000 profit divided by two is kind of right where our sweet spot is. I’m not going to say no, but if we’re splitting $4,000 together, then it’s kind of not really worth our time. In a perfect world, I really want to make at least $10,000 for me and for you when we split it, so if you can kind of think about that. But right now, my volume’s not too crazy, so I can entertain some things that are maybe just a little bit under that, and so feel free to submit them. On the high end, no, there’s no limit, bring it. Look, we all know that no good deal should to go waste, and for every good deal, there’s money out there. I have those people standing by. If it’s something that’s just insane, and my acquisitions funds isn’t right where I want it to be, I can get the funds. So there is no cap on it right now, send it my way, and we’ll get it done. Excellent question, thank you, Matt. Let’s see here, Steven answered that. Oh, this is cute. I’m going to show it, this is funny, Jake. Jake’s giving in some podcast observations, so if you haven’t found us yet, please check out our podcasts, Land Academy Show. We are going to hit, believe it or not, show 900 next week. So we’re going to do something special there, I’m really excited about that. That we’ve, gosh, 900 shows. True, I hope to never get that big. I don’t really want 100 employees. We have a mighty team right now, and we get a lot done, and I want to keep it that way. It’s perfect. You know what? Team, I’m going to make a note here. I’m going to have them remind me, I could do a TitlePro overview for anyone who’s not a member. That would be a really good thing for you to see, just what we get out of TitlePro247 because I know a lot of people have inexpensive access to AgentPro247, which is still a good quality grade product. I love Black Knight Financial Services. We use their top product, which is TitlePro, so it has everything on AgentPro, and then I can do Lien Reports, and run Lien Searches, and do all those things. What I would recommend here too is, that’s a great thing for me to … A, I can talk about it more; and B, my team can get you there. That’s a good thing for my team too. We’re working on upping our video content, so this is something for you to know too for people who aren’t members or are members. We’re really working on upping our video content this year for micro content and get little videos out for you on the member dashboard. So if you have a question like this, and you just can’t find it on TitlePro, you can go there watch a quick video, and it shows, “You click here, click here, enter this information, and here’s what you get back.” kind of thing. Excellent. I’m going to show this on here. Steven’s in here too helping and answering questions when they get some technical ones. You know what? If you haven’t noticed too, talk about transparent, I’m never going to say, “Oh, not this level, we don’t talk about that. We don’t roll that way.” I might say, “I want to answer this question, but I need 20 minutes.” That’s really what’s going on. Steven, right here, is answering questions for you too because anything I can help you with right now or get out there for ya, I mean, that’s who we are. We really want to help you. The answer is yes/however. I want you to have a plan already in place. If I see something, and I can tweak it, and we can talk about, “Hey. Gosh, this one’s worthy of going in the MLS.” Or, “Let me spend …” You do the work, but this is part of the marketing I might do. Or I might suggest you, “Hey, why don’t you go make a video? It’s worthy of $100 or $200 to make a video for this one because we’re selling it for $40,000. I think a $200 video, it’s perfect for that.” That kind of stuff. Those kinds of tips, absolutely. What I don’t want to do is teach someone from scratch how to do that. That’s why I want you to have plan. When you submit your deals for our deal funding approval, one of the things that I do look at is, are you a member? Because I know what you know. That right there says a lot. Number two, I’m going to go look at your website. I’m going to see how many deals you’ve done, what your postings look like. That’s why we ask some of those questions. Excellent question. Oh man, here’s what’s different now, Jake. ParcelFact, TitlePro, DeedPerfect, and the list goes on and on. All the tools and things that most of them we created. A few of them we are licensed providers and share with you, didn’t have it. The ParcelFact, for me, was the biggest, biggest one. To be able to sit down right now and in 30 seconds put in a state, county at APN and be staring at the property, staring at it on Google Earth, staring at the whole outline of the property. Took us a while to even get that, staring at the ownership, the tax information, the land use codes, anything I want to know about it. That was a game changer for me, personally. I love that. It was funny. In the old days, I’ll tell you, I used to spend a lot of time on my own exhausting all my resources before I went to Steven to say, “All right, I’m out. I just can find it.” kind of thing, and ran it by him. Usually, I could, but now and then there were some that I just was stomped, and I had to call in Steven to find it. But now, it’s one of the things … Really, the tools and the resources now make it so much easier. I’m thinking you’re talking eBay. Okay, in eBay, not every property hits eBay. There’s usually a strategic reason that I’m using eBay. In my doc prep fee, I know I’m going to get something out of it, and by doing our $1, 30-day, and no-reserve auctions, they will use the workout fine. Especially now, since we turned it back on in a big way, I haven’t had any that we haven’t made money on and made enough money on it. I’m happy with that. Let’s see here, “Common mistakes that members might make using eBay?” Not doing a 30-day auction, not letting it be out there so often, not having good photos, not having a good description, not having everything spelled out, every detail, with GPS coordinates, everything you know about the taxes, all the state, county information. You want them to see it, be able to watch it, sleep on it, and then bid on it. And wait until the end. I see members get excited, and nervous, and think about shutting down the auction because, “Oh my goodness, it’s got three days to go, and I’m afraid that no one’s going to bid on it.” It’s the last day, even the last 6 and 12 hours that all the action happens. People know when your auction’s ending if they want the property. What we strategically do, because we’ve tested this over the years, is have them ending on a Sunday. We list them on a Friday, so they’ll end on a Sunday. When you count up 30 days, it’s Sunday. We always time it around dinner time. That has traditionally been the best for the most activity, the most excitement, right around 6:00. We don’t do it right on the dot too, make it 6:05 on a Sunday night, and then watch what happens. Good question. Let’s see, this is from a starter. You’re asking me, Jake, about SEO methods, and I’m going to leave that to my marketing team for those questions because they’re the best there. I’m going to get some others in here. Hey, I got a YouTube. Hi Ben, from YouTube. Ben C., “How long does it take to know if a deal will be approved or rejected for funding?” 24 to 48 hours. Right now, it’s pretty fast. But I need it all the way done and passed your tests. So Ben, if you submit a deal to me today, if you got it in to me today by noon, and you said, “I’ve got a signed purchase agreement, here it is.” Even scan it in for me and email to us. And it passed all your tests, and you said the four As, “It’s got the acreage, it’s got access, it’s got affordability, and these are the attributes.” It doesn’t take me long to look it up, look at your history. You’ll get an answer probably same day, so I’m okay right now. Normally, I’m going to say 24 hours kind of thing, so get it in the afternoon might not get an answer right away back until 24 hours. The minute I say yes, we’re just going to send you my … What’s it called? My Investor’s Agreement. From there, you’re going to sign the Investor’s Agreement, and you’re going to put in escrow, and away we go. Good question. Golf course with 100 acre surrounding it, I guess you’re asking me, do I want to buy a golf course? I do not necessarily want to buy a golf course. Do I want the lots around it? Heck yeah. If it’s all one deal, that’s not bad, but I need the numbers, so what are they worth individually? Do you have a signed purchase agreement? What do you know about the property? Just your usual stuff, so that’s great. All right, let’s see here. Oh, all right, Jake’s asking if I could bring my in-house individual … Landon does our eBay postings, so Jake’s asking to pick his brain. I’ll tell you honestly, Jake, whose brain you want to pick is Steven’s. Landon learned from Steven, but there’s a few little things about the actual specific posting, if you want to know some of the software that we’re using today. I’d say that, if you want to hit up, we can see about that. Let me know, I could probably make that happen. Thanks, Jeff. Jeff said, “Is this show a podcast? If not, will it be in the future? This is great stuff.” Thank you very much. What I’m doing now, like our podcasts, is we are recording them and making them available on Facebook, on our website, and also on our YouTube channel. That’s a great idea. I’m going to talk to my team about the possibility of recording these, and then I could put them on iTunes as a podcast so people driving around could have another good resource for some of these great questions. Thank you, Jeff, good idea. Let’s see, oh, here’s Steven weighing in already, it seems already answering Jake’s question about the golf course deals. Of course, we’ll look at the deals. Yep, and just said the same thing, submit them on the deal funding form. Thank you, Elizabeth. Elizabeth’s also commenting, telling people that, “You can watch them later.” Good stuff. Excellent question, Greg. You’re obviously a member, so you know all this stuff. This is one of the things that Steven is doing for us right now literally this week. He’s putting the finishing touches on Land Academy 1.0, which is updates for you that you need to know now since the original Cash Flow from Land Program was released. What we use now is CountyWise. Steven’s going in there and giving you more guidance and more information on where to look for that. In the meantime, what you want to do right now today is go on CountyWise, so it’s CountyWise.com. It’s our own website that Steven created. Took weeks to put this together. I mean, when you look at that and see the amount of information there, you’ll all understand why it took weeks to get this together. You go to the state, you can pick out a county, scroll down, and get a snapshot of … It’s what you need right now. It’s not 100% up-to-date, last month, but that’s not what you need. You just need to get a good idea of how it is in that county, how many back tax properties are traditionally available. You’re just kind of lining up counties. Let’s just say you’re comparing a couple counties in Oklahoma, you want to look at Tulsa versus the next county over. I can’t think of the name right now, but it gives you an idea. You can look at the Tulsa back tax properties aligned with another area that you’re looking at, and right now it will tell you right away, “Oh, okay. Now I need to know where I need to look to take it to the next level.” Great, great question. You might, there’s a reason why we get different results in different areas. But again, you got to make sure though you’re comparing apples to apples, so you can’t really maybe even compare Rhode Island, let’s say, to Florida when you’re getting into those counties because you’re also looking at how many number of properties are even available. The whole back tax properties might be small, you’re comparing that to the percentage of available properties, which you can get in poll in our data, just without downloading any number, you can see how many properties are available in that county very easy. You can kind of go, “Oh, I see the percentage.” You might find in Rhode Island, let’s say, “Wow, 20% of the properties in this county are … Based on the numbers, it looks like 20%. And over here, in New Mexico, it’s also 20%.” So those counties, you can see where I’m going there, they might really be aligned the same not having the same exact number of back tax properties. Good question. I just want to reiterate this also, we don’t use this to send offers to only back tax properties. This is not what we’re all about. As far as we’re concerned, we want everybody. Everybody gets an offer. Why? Because I can tell you two things: number one, how many wonderful properties I have bought from people that are happily paying their back taxes, and they don’t want it anymore. They didn’t know they could stop paying their back taxes. They get my letter, and they’re thrilled. I love it because a lot of people haven’t hit them with the mailer. Number two, so many of these back tax properties are sitting in a back tax property situation because there’s a problem, and I don’t want to deliberately seek out and send offers to a ton of problem properties. I want the good ones though. Let me get back to this questions here. I think we got that question, so thank you. If I miss something, let me know. Let’s see, consider him a call shoulder screen … All right, Jake’s still talking about the eBay. I’m sorry, I’m reading Jake’s, just looking at that. Elizabeth asks, “For commercial properties, do we need a city permit to post a ‘For Sale’ sign?” Great question. It depends on the city and the county, you need to check that. Bare minimum, get them in the MLS. Let’s see here, Jake says … Okay, yeah, “Is it recorded?” Yeah, it is recorded, I think you’re asking. Go to Facebook Group and rewatch. Yes, definitely. All right. This is great. You guys are answering all the questions, this is so funny. There’s a lot of questions from my YouTube folks that can’t see this right now. Steven’s answering a few of the eBay questions up, and that kind of reiterate the things that I said about the podcasts, kind of where you can find it. Thank you. Oh, that’s really good. Jeff said, “The reason I asked about the podcast is I travel a lot, and I can transfer them to my car and then save the data on my phone.” That’s really a great tool. You’re right, that’s a good one. Thank you, Elizabeth. Elizabeth says, “You can also listen while driving on YouTube or here on Facebook.” You guys are awesome. Thank you for sharing that with each other, I really appreciate that. Let’s see, thank you. Hi, Autumn. Autumn asks, “Hello. Do you have to be a member to bring you a great deal to fund a partner?” The answer is currently no, you do not have to be a member. I ask that when you fill out the form because it does alert me if you are a member. I need to know that because I know how you’re educated, I know what kind of offers you’re sending, I know how you’re picking your county, I know how you’re marketing your property. I know where you’re coming from if you are a member, so that helps me. Does that mean I’m not going to do your offer when you’re not killing it out there? Not at all. Am I happy to help everybody? Heck yeah, so please submit. Let’s see, oh, thank you Elizabeth. Elizabeth piped in, “Yes, and you should. They have so many amazing helpful tools.” Boy, that’s true, definitely. All right, Jake’s kind of making a comment here which is good to share. “I experienced really low county records in Tennessee rural counties. The county I looked up only had 1,174 records for 4 acres and up. For kicks, I looked at Mohave County in Nevada, and for only 5 exactly, 5.0 acres over 9,500 parcels in one county.” It’s amazing how different counties are. That’s very, very true how they’re divided up. Good, good question. The answer is, I do not. Well, I shouldn’t say that. I do in a few ways. One, I’m going to start putting out my … You remember this Brad. Remember my weekly buyers list that I used to do a while back? I’m going to bring that back. There are a few things that I am doing. I am going to put deal funded properties that I’m involved in out to my huge list. You can imagine, I mean, how many years ago I started that? I don’t even remember now, it’s so long. My personal opted in platinum buyers list, they will get those properties. Number two, I will put those out there, I mean, we’re supplying [LandPin] and those resources. Am I going to do that myself? I’m not. That’s the thing. I’m funding the deal, so I want you to roll this into your normal marketing, your normal posting, your normal putting it on your website, your normal marketing however you market it on social media, your normal put it in the MLS. I will also weigh in on, “Hey, I think this is a good one that we should put in the MLS because it’s commercial property, and it’s priced this way.” Or I might suggest, “Hey, let’s make a video for it. That’s probably going to sell it really fast.” Things like that. I’m going to absolutely share those with you. I’m just not going to actually do the actual work for you. My in-house transaction coordinator, who right now is Umar, until Umar gets too busy … Just kidding, but Umar is helping as a resource for you to push them through escrow and help with that piece of it. Great, great questions. Those are on our website, I believe. I’m waiting for my team to weigh in, but I believe it’s on our website. 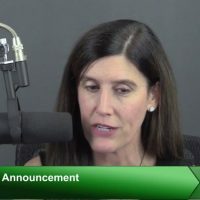 If you pull up LandAcademy.com, and you go to the ‘Podcasts’ page, you should be able to open it up, and scroll down, and see the transcripts. I can’t remember, I don’t think it’s in YouTube because I don’t think I can fit that many characters in there, but it’s definitely on our website. Great question. This started when Justin was like, “I’ll play it at night,” I think, “with a sleeping baby.” And he could just sit there and quietly read the transcripts. All right. Let’s see, thank you, Steven. Steven’s answering a few questions, a little off-the-record questions. But, as I say that, I’m thinking out loud though, now it makes your price not sound so good. So I’m not sure, Stacey, I would go that route and do that because now you’re making them hold out for $50,000 and putting it on your wife, and want the seller not happy with you because you supplied that resource that didn’t work out also. You know what? Now that I think about it a little bit more, I think I would stick with my, “Hey, I love it at this much money.” and then move on. Thank you. Thank you. Steven just weighed in and also confirmed that transcripts are on our website, and they’re in full for every episode. If anybody wants to have them, print them out, take them home … I’m just kidding. They’re there. I could do that. That would actually be fun, Shane. I’m going to put that to my marketing team. If they want to come up with a quick little something. On our Thursday member call, is what you’re saying, come up with a giveaway for 15 minutes with Steven, I could do that. You know what? I’m just going to say yes. Okay, Shane? We’ll do that tomorrow in our member call. I’ll put together whoever’s on there, I’ll have a little drawing, and we can do that. Cool. Don’t forget too we can’t, of course, price the whole mailer on our weekly member call, but if you’ve got a property that’s just something really urgent or something really big that you think would be beneficial, you’re okay sharing with us, our group, not here, but we’ll do a ‘Would You Do This Deal?’ on the call and look at the property with you. We’re happy to do that always. Cool. Well, as a member, as of this very moment, the [inaudible] is closed right now, and I’m going to share something about that here in a few minutes. But as a member right now, you automatically get 1.0 and 2.0. Jo Ann, because I remember you, if you’re asking about getting back in as a member, and if there might be a special circumstance that we could maybe turn that back on for you, my answer is please send a message to support@landacademy.com and talk to Erin. Thank you. Let’s see, all right, I think we got through everyone’s questions. I’m so glad because I’ve a couple big announcements, one for everyone and one for YouTube. What I wanted to share is, for everyone, whether or not you remember, make sure you’re in my email loop. If you’re not in my email loop, just go and download the eBook, and that will get you in there. In case you’re wondering, this is not your normal eBook. This is a very lengthy and evolved eBook which really outlines our whole business model and tells you really what Land Academy is all about. So get the eBook if you haven’t read that yet. I want you to be in the loop because, coming up in the next few days, we’re going to be making some announcements. For everybody that has the eBook, you’re going to get some initial access when we reopen membership. You’ll get advanced noticed, and advanced access, advanced pricing, and advanced special things when we reopen Land Academy membership here in just days, not weeks, not months. When we reopen, it will be our original Cash Flow from Land Program plus the Land Academy. 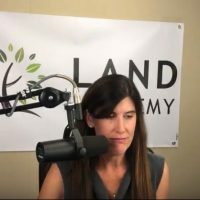 We’re calling it Land Academy 1.0 add-on, which explains to you everything that you need to know right now today, the little tweaks and all the things that are easier doing property today from the original version. But you still need the original version because there’s so much quality content in there. You also get 2.0, which is Infill Lots automatically included in there. That will be coming, and I want to make sure you know about that. I’m really excited about it. Now, for my YouTube viewers, here is what’s coming … I’m told, sit tight for an announcement. Is there another announcement? I might have something else to say. I might be changing our YouTube thing. Thank you for your patience. My team is passing me a note here. Ah, okay, you know what? I’m going to come up with another one. I’m going to do something special for my YouTube people. All right, so here’s what’s going on: apparently, my YouTube stream is down at the moment. I’m very sorry, and I apologize for this. If you’re watching on Facebook, you know; and you’re on YouTube, you’re going to be watching this later on today. We’re still going to get this, and I’m going to make a special announcement again, so just sit tight. Here’s the announcement: for my YouTube viewers, what I want you to do is three things, subscribe to the channel, like this video; two, leave a comment and put #landacademy; and then three, send an email to support@landacademy with your name and your email address. That will get you in my drawing for a free Land Academy Program, and it’s going to happen two weeks from today. That’s January 30th. I’m going to recap the three things real quick. Subscribe to the YouTube channel … By the way, if you did the Facebook one, you could still do this too, by the way, through YouTube, FYI. Subscribe to our YouTube channel and like this video; two, leave a comment #landacademy; and three, send an email to support@landacademy with your name and your email address so I know it’s you. Thank you very, very much. I’m glad that you’re here. I am Jill DeWit of Land Academy. I’m here to help you get started, that’s the hardest part.